Prospect Resources Ltd (ASX:PSC) is pleased to report on another busy quarter of activities. Prospect Resources Ltd (ASX:PSC) is actively developing the Arcadia Mine. A major focus is on recruitment of key personnel to ensure the organisation&apos;s goals are met. Prospect Resources Limited (ASX:PSC) is pleased to provide to investors a recent BBC World News report on Zimbabwe lithium. 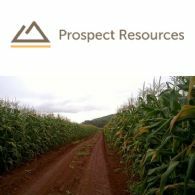 Prospect Resources Ltd (ASX:PSC) is pleased to announce that further to the announcement on 14 May 2018 Mr Sam Hosack has been appointed to the Board of the Company as Managing Director effective from 14 July 2018. Prospect Resources Limited (ASX:PSC) is pleased to announce the following project update on the Arcadia Lithium Project. 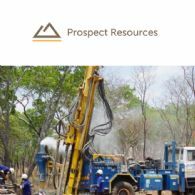 Prospect Resources Ltd (ASX:PSC) is pleased to announce that it has entered into an option agreement with J3 Mining to acquire up to 75% of the Malemba Nkulu Project (PEPMs 12388 & 12390). The option agreement is subject to a free 90 day due diligence period. Prospect Resources Limited (ASX:PSC) is pleased to release to investors a link to the recently prepared flyover video on the proposed Arcadia Lithium Mine. Prospect Resources Ltd (ASX:PSC) is pleased to report on the development progress at the Arcadia Lithium Mine. Prospect Resources Limited (ASX:PSC) is pleased to provide to investors the below web address to a recent BBC interview with Harry Greaves, Executive Director. Prospect Resources Ltd (ASX:PSC) is pleased to announce the appointment of J.R. Goddard (Pvt) Ltd as the earthmoving contractor for the Arcadia Lithium project. JRG is expected to begin mobilisation of plant and equipment immediately and to break ground in the coming weeks. 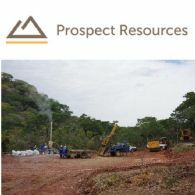 Prospect Resources Limited (ASX:PSC) is pleased to announce that it has appointed global engineering firm, DRA to provide engineering services and upfront design for their flagship Arcadia Lithium Project, located 38kms east of Harare, Zimbabwe. Prospect Resources Ltd (ASX:PSC) is pleased to announce the appointment of Mr Sam Hosack as Managing Director from 14 July 2018. Prior to 14 July, Sam will be employed by the Company as an executive on a part time basis. 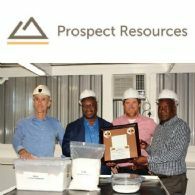 Prospect Resources Ltd (ASX:PSC) is pleased to announce that the Zimbabwean Minister for Mines and Mining Development, the Honourable Winston Chitando, visited the Company&apos;s lithium carbonate pilot plant in Kwekwe, Zimbabwe this week to see first-hand the work that Prospect is doing to create battery grade (+99.5%) lithium carbonate. Prospect Resources Ltd (ASX:PSC) is pleased to announce that Hunter Capital Advisors has today published a research report on the Company. On 10 November 2017, Prospect Resources Ltd (ASX:PSC) announced a conditional placement and framework agreement with Sinomine Resources Exploration Co. Ltd (SHE:002738) and Sinomine International Exploration (Hong Kong) Co. Ltd and offtake agreement with Sinomine Resource (Hong Kong) International Trading Co., Limited. 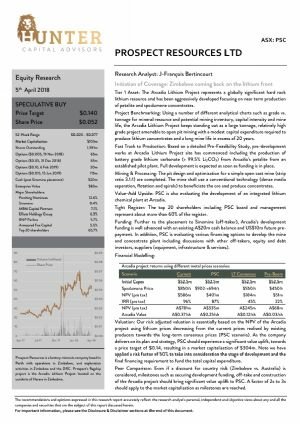 Prospect Resources Ltd (ASX:PSC) is pleased to announce that it has revised its Pre-Feasibility Study over the Arcadia Lithium Project in Zimbabwe. 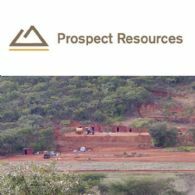 The directors of Prospect Resources Limited (ASX:PSC) and its controlled entities submit herewith the financial report of the Group for the half-year ended 31 December 2017. Prospect Resources Ltd (ASX:PSC) provides the Company&apos;s latest Investor Presentation. Prospect Resources Limited (ASX:PSC) is pleased to announce that it has exercised its option to acquire the Good Days Lithium Project, which was first signed on 12th June 2017. Prospect Resources (ASX:PSC) has established a laboratory complex in the Kwekwe area which is now fully functional and supporting the laboratory scale and pilot scale production of lithium carbonate. On 12 February 2018, Prospect (ASX:PSC) announced that it agreed to extend the period to complete the proposed $10m placement to Sinomine Resource Exploration Co Ltd to 31 March 2018. Prospect granted the extension at Sinomine&apos;s request. On 10 November 2017, Prospect Resources Limited (ASX:PSC) announced the signing of a conditional Placement and Framework Agreement with Sinomine Resources Exploration Co, Ltd and Sinomine International Exploration (Hong Kong) Co, Ltd. Under the terms of this agreement, Sinomine was required to subscribe for A$10,000,000 of Prospect shares by the close of business on 7 February 2018. On 31 January 2018, Prospect (ASX:PSC) announced that it had raised $10m via the issue of new shares at 6c per share, with settlement proposed for Monday 5 February 2018. An Appendix 3B was issued on Tuesday 6 February 2018, confirming the allotment of shares under this placement. 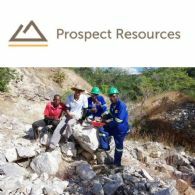 Prospect Resources Ltd (ASX:PSC) is pleased to announce that it is preparing to commence exploration at its Chishanya carbonatite project in the southeast of Zimbabwe, with a focus on determining the Rare Earth Element potential of the site. Prospect Resources Ltd (ASX:PSC) is pleased to announce that it has entered into an option agreement with TSM Enterprises sarl to acquire the Tombolo Klippe Project (PEPM1787). Prospect Resources Limited (ASX:PSC) is pleased to announce the completion of an oversubscribed placement of 166m shares at an issue price of 6c per share to institutional and sophisticated investors, to raise $10m (before costs). 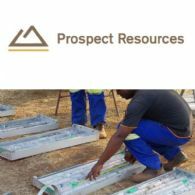 Prospect Resources Ltd (ASX:PSC) is pleased to announce that the Company&apos;s Arcadia Lithium Deposit has been identified as a priority mining development project by the Office of the President and Cabinet of Zimbabwe. Prospect Resources Ltd (ASX:PSC) is pleased to announce it has produced ultra-high purity 99.8% lithium carbonate from Arcadia petalite ore. A purity of 99.5% lithium carbonate is required for battery grade lithium carbonate. As the purity level rises, more potential product applications become available and possible pricing rises. Prospect Resources Ltd (ASX:PSC) provides the Company&apos;s latest Presentation on Arcadia Lithium Project. Prospect Resources Ltd (ASX:PSC) is pleased to announce a further increase in the Ore Reserve estimate at its flagship Arcadia Lithium Deposit in Zimbabwe to 26.9 Mt at 1.31% Li2O. The upgraded Ore Reserve is based on the Mineral Resource estimate announced to the ASX on 25 October 2017. Prospect Resources Limited (ASX:PSC) is pleased to announce the extension of the Good Days Option until 14 April 2018. Prospect&apos;s flagship project is the Arcadia Lithium Project located some 45kms from the centre of Harare in Zimbabwe. The Board of Prospect Resources Limited (ASX:PSC) notes the recent political developments in Zimbabwe. The Board of Directors wishes to advise that Mr Qingjiao Yu has tendered his resignation as a non-executive director of Prospect Resources Limited (ASX:PSC) effective immediately. Ms Yan Wang who acted as an alternate non-executive director to Mr Yu will also resign as a result. Prospect Resources Ltd (ASX:PSC) announces the Company executes conditional offtake and conditional placement and framework agreement to fully fund construction of mine and plant for prospect&apos;s Arcadia Lithium Project. Prospect Resources Ltd (ASX:PSC) announces the Company produces battery grade lithium carbonate from Arcadia petalite. 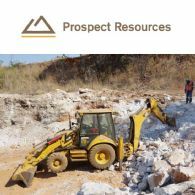 Prospect Resources Ltd (ASX:PSC) announces the Government of Zimbabwe, through the Ministry of Mines and Mining Development and the Ministry of Finance & Economic Development, has granted National Project Status to Prospect Resources&apos; Arcadia Lithium Deposit. Prospect Resources Ltd (ASX:PSC) is pleased to announce a further increase in the Mineral Resource estimate at its flagship Arcadia Lithium Deposit in Zimbabwe to 72.7 Mt at 1.11% Li2O (0.2% Li2O cut off). Of importance is the conversion of all the Inferred Resource from the conceptual pit design into Indicated and Measured categories. Prospect Resources Ltd (ASX:PSC) is pleased to announce the delineation of a new mineralised zone; the Basal Pegmatite. Prospect Resources Ltd (ASX:PSC) is pleased to announce the results from its in pit grade control sampling program completed at the Arcadia Lithium Project in Zimbabwe. Trial Mining has now been completed with some 260t of Main Pegmatite being generated to supply additional material for ongoing metallurgical test work in Johannesburg, as well as to provide feed to the lithium carbonate pilot plant. Prospect Resources Ltd (ASX:PSC) has had an extremely busy 12 months and has achieved several significant milestones at its flagship Arcadia Lithium Project. Prospect Resources Ltd (ASX:PSC) provides the Company&apos;s latest Presentation titled &apos;Investment Outline - Arcadia Lithium Project&apos;. 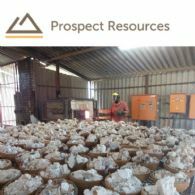 Prospect Resources Ltd (ASX:PSC) is pleased to announce the commencement of its bulk sampling and pre development grade control programs at its Arcadia Lithium Project in Zimbabwe. Prospect Resources Ltd (ASX:PSC) is pleased to announce a further increase in the Mineral Resource estimates at its flagship Arcadia Lithium Deposit in Zimbabwe to 66.6Mt at 1.13% Li2O (0.2% Li2O cut off). Of importance is the significant conversion of Inferred Resources into Indicated and Measured categories based on infill drilling completed in the last quarter. 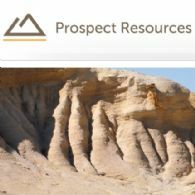 Prospect Resources Ltd (ASX:PSC) is pleased to announce that it has successfully shipped representative samples of its ArcadiaLithium product suite comprising spodumene and petalite concentrates to prospective customers in China, Germany and the USA. Prospect Resources Ltd (ASX:PSC) provides the Company&apos;s latest Investor Presentation - Summary of Arcadia Pre-Feasibility Study. 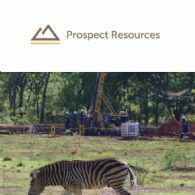 Prospect Resources Ltd (ASX:PSC) is pleased to announce that its Pre- Feasibility Study over the Arcadia Lithium Project in Zimbabwe has been completed. The results of the PFS confirm and validate the Company&apos;s objective of developing Arcadia to become a significant producer of high quality spodumene, petalite and tantalite concentrates in the near term. Prospect Resources Ltd (ASX:PSC) is pleased to announce results from initial field mapping and sampling completed at the Good Days Lithium Project in Zimbabwe. The Company has a two month period in which to complete its evaluation of the Good Days Lithium Project. 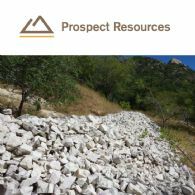 Prospect Resources Ltd (ASX:PSC) is pleased to announce that it has entered into an option agreement to acquire the Good Days Li-Ta-Be Project from Barrington Resources Pvt Ltd, a local private Zimbabwean Company. Barrington owns 7 Mining Claims covering approximately 8 km2 over the Good Days Pegmatite Swarm in North Eastern Zimbabwe. Prospect Resources Ltd (ASX:PSC) is pleased to announce that its Environmental Impact Assessment as well as Investment License has been approved by the Environmental Management Agency of Zimbabwe and Zimbabwe Investment Authority, respectively. Prospect Resources Ltd (ASX:PSC) is pleased to announce a further increase in the Mineral Resources at its flagship Arcadia High Grade Lithium Deposit in Zimbabwe to over 57Mt at 1.12% Li2O (0.2% Li2O cut off), representing an increase of 60%. Prospect Resources Ltd (ASX:PSC) is pleased to report significant assay intersections of up to 1.85% Li2O from Phase 3 Diamond and Reverse Circulation drill holes located to the immediate West of the conceptual pit design derived from the Scoping Study completed in December 2016. 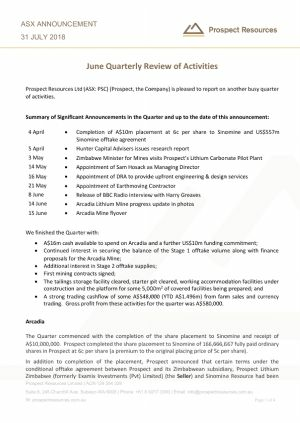 Prospect Resources Ltd (ASX:PSC) is pleased to report on another busy quarter of activities. Much of the quarter was spent on drilling Arcadia and compiling our maiden JORC compliant Mineral Resource Estimate, followed by the results of our Scoping Study. We expect to release results of our Prefeasibility Study during the March Quarter 2017. Prospect Resources (ASX:PSC) is pleased to provide a Scoping Study and development update at the Company&apos;s Arcadia Lithium Deposit in Zimbabwe. 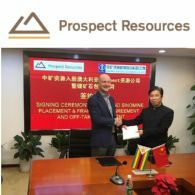 Prospect Resources Ltd (ASX:PSC) is pleased to announce the appointment of Mr Qingjiao Yu, as a non-executive director of Prospect Resources Limited ("PSC" or "Company"). Ms Yan Wang has also been appointed as an alternate non-executive director to Mr Yu. Prospect Resources Ltd (ASX:PSC) is pleased to provide the company&apos;s latest presentation held in November 2016. 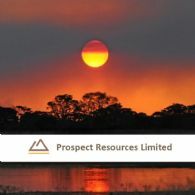 Prospect Resources Ltd (ASX:PSC) is pleased to report the maiden JORC 2012 Code reportable Mineral Resource estimate for the Arcadia Lithium Deposit in Zimbabwe. The estimated Mineral Resource at Arcadia is 36.4 Mt @ 1.17 % Li2O, for 425,000 tonnes of contained Li2O. The Mineral Resource estimate also includes a large proportion of Measured, Indicated and Inferred Resources at 31Mt grading @ 1.22% Li2O. Prospect Resources Ltd (ASX:PSC) is pleased to report assay results of up to 8.85% Li2O from RC drill holes at the Company&apos;s Arcadia high grade lithium project. Prospect Resources Ltd (ASX:PSC) is pleased to report assay results from RC drill holes at the Company&apos;s Arcadia high grade lithium project. 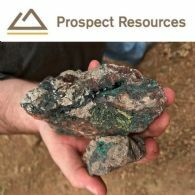 Prospect Resources Ltd (ASX:PSC) is pleased to announce the signing of an option agreement on the Fimpimpa West Copper/Cobalt Project, northern Zambia. Prospect Resources Ltd (ASX:PSC) (Prospect, the Company) is pleased to report assay results from 4 more RC drill holes at the Company&apos;s Arcadia high grade lithium project. Assays from 9 RC drill holes have been received with results from another 23 RC holes pending. 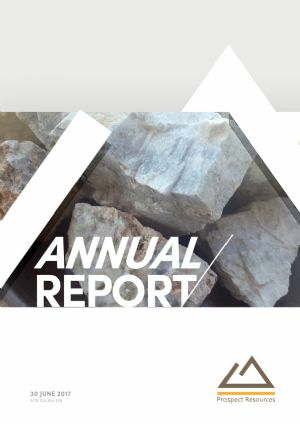 The directors of Prospect Resources Ltd (ASX:PSC) ("the Company") submit hereby the annual report of the Company and its subsidiaries, (together the "Consolidated Entity" or "Group") for the financial year ended 30 June 2016. Prospect Resources Ltd (ASX:PSC) is pleased to report that an approximate 300m length outcrop of lithium bearing pegmatite has been discovered within the Arcadia High Grade Lithium Project area. This discovery is some 1.5km down dip from the known strike. Additional RC rigs are being mobilised to target this outcrop and the wider claims area. Prospect Resources Ltd (ASX:PSC) is pleased to report assay results from the first 3 RC drill holes at the Company&apos;s Arcadia high grade lithium project. This first RC drill programme is completed and the Company await assay results from a further 28 holes over the coming weeks. 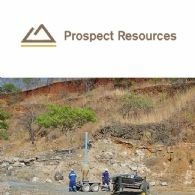 Prospect Resources Ltd (ASX:PSC) are pleased to provide the Company&apos;s latest presentation at the Africa Down Under Conference, September 2016. Prospect Resources Ltd (ASX:PSC) is pleased to report high grade assay results from its first 5 diamond drill holes ACD001 - 005. Prospect Resources Ltd (ASX:PSC) is pleased to report on the first 18 RC drill holes at the Company&apos;s Arcadia high grade lithium project. This RC drill programme is ongoing. 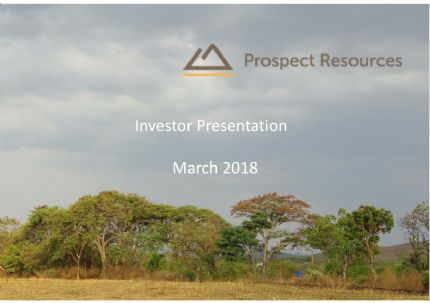 Prospect Resources Ltd (ASX:PSC) are pleased to provide a Company Presentation titled &apos;High Grade Lithum and High Grade Gold Projects,&apos; including a Market Update regarding Pegmatite Intercepts up to 45m.